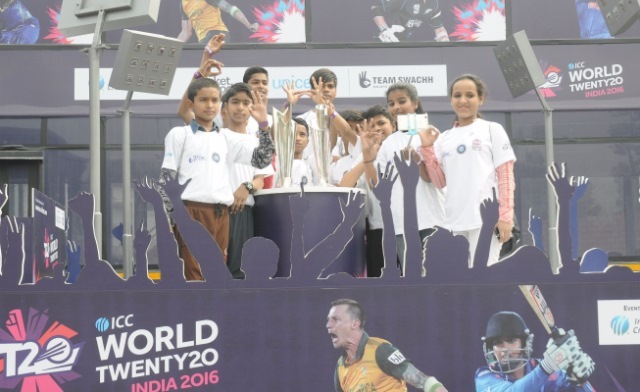 UNICEF’s Swachh Clinics initiative reached the ICC WT20 Championship and kids involved in the campaign got an opportunity to click selfies with OPPO Camera phone’s Selfie Expert F1 at a host city tour showcasing the ICC WT20 trophies. ICC has partnered with UNICEF to promote a nationwide initiative that aims to build a social movement and toilet use thereby leading to an open-defecation-free India. OPPO is the official global partner of ICC in the mobile category for 4 years starting from 2016.